FEATURES • Central Billing Full support for head office and sub-accounts (branches) for your accounts payable system. View individual account balances/total balances on- screen. Issue credits and payments across accounts. • Hold Accounts Put accounts on hold, specify whether statements should be issued. • Google Maps Integration • Edit/re-print in all Periods Supplier transactions may be edited (security permitting) in any accounting period including prior years, as well as forward dated. • 3 Ageing Methods Supports three types of ageing:  Calendar month  Ageing on credit terms  By specified due dates  Due date ageing can be set and controlled by individual transaction. • Export to Microsoft Office The supplier database can be loaded into most popular spreadsheets such as Excel and OpenOffice, applications such as Access and word processors such as Word. Mail merging with Microsoft Word, or linking to external applications. 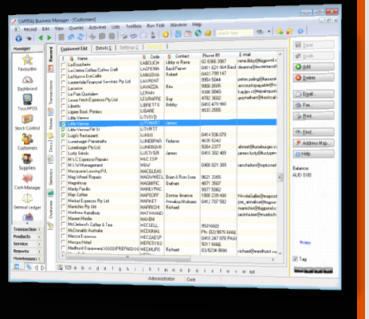 • Synchronise with Outlook Transfer your supplier records into Microsoft Outlook contacts. • Templates A template is a copy of the basic elements of a transaction, that allows you to enter similar transactions quickly. For example, if you are always entering a phone bill into the system from the same supplier, with the same expense allocations, saving the transaction as a template means that you do not have to enter the same basic details repeatedly. • ‘Short-cuts’ Replace expense and chart of account codes with alternate, usually more descriptive, codes. For example, a difficult to remember code such as ‘20315’ could be accessed by entering ‘VEHICLE’ instead. Short-Cut codes can consist of up to 4000 linked expense or chart of account codes. • Variable Accounting Terms Monthly, 7, 14, 28, C.O.D., 90 day and user defined trading terms up to 999 days per account. • Open Transactions CAPITAL's accounting software lets you have a one click view of only the transactions for your suppliers that remain unpaid or uncredited. • Payment Reversals Payment and credit notes can be changed or reversed, security permitting, at any time if mistakes require correction. • Images and Documents Link images, documents and external files to supplier records. • List View Suppliers may be viewed in list form on-screen. Each list may have a user configurable selection of columns. An unlimited number of lists may be created. • Security Hide or prevent editing of any field (such as the discount level, on-hold status, EFT payment information, etc.) or prevent viewing of the whole account, subject to the user's security level. Depending on the edition of CAPITAL running, accounts and their associated transactions may be selectively hidden from view. For example, department ‘A’ cannot view the accounts and associated transactions of department ‘B’. • Flexible Searching Search instantly by account code or name or perform a text search to locate information on any field, such as suburb, street address, phone number, email address, etc. Opt to simultaneously search linked notes, documents and secondary (sub) contacts. Supplier accounting can support an unlimited number of supplier accounts and can maintain an unlimited transaction history on each. There are no ‘end period processes’ so there is no extra work at the end of each month. Users can work in an unlimited number of periods simultaneously if allowed, and transactions may be entered and edited for any day of the month or year and back or forward dated as required, subject to the security restrictions assigned to each user. Maintains phone, fax, mobile numbers, e-mail, and web site info. And each supplier may link to an unlimited number of related ‘contact’ records, such as purchasing department, accounts department, sales, managing director and so on. Notes, documents and images may be associated with each record. The Screen Builder visual design tool lets you customise your account to suite your exact needs. Remove the information you don’t want and add your own, including lists and images. Quick, efficient on-screen inquiry, allowing professional and timely service. Information for all suppliers is kept on file for as long as desired. Easily send statements, receipts, etc., whenever required. Print/fax or email documents with a click of your mouse. All suppliers have access to a multiple delivery address file. Handle an unlimited number of foreign currency types and accounts. Accounts can be assigned to departments (income and cost centres) for separation into divisions/branches. Accounts may be ‘locked’ to particular departments or may be active across departments depending on transaction type. Group supplier accounts by category, i.e., industry type, as well as by department/business unit. Unlimited length note information can be maintained for each supplier. Useful for recording conversations, special instructions, product technical information, etc. Notes can be printed on forms, labels and reports. All entries are automatically date/time/user stamped. Reminder messages and special alerts can pop-up when accounts are accessed. Edit the details of paid transactions, security permitting, without having to remove credit note or payment allocations--provided the transaction value is not altered. Convenient when you only need to update a reference field. Payments can be automatically allocated by the computer or manually by the operator. Each invoice keeps track of the payment that paid it. Each payment tracks the invoice or invoices paid. Likely future changes and requirements can be handled now. Users may enter mathematical formulas defining tax calculations. Full support for GST. Supplier details can be ‘archived’ into other databases for historical reference purposes. Payments may be entered before invoices are processed as pre-payments and accounts may be part paid. Payments across accounts (central billing) is also permitted. Allocates transactions for payment, taking advantage of early settlement discounts where applicable. Allocations may be manually overridden or adjusted. Set oldest accounts to pay and money to allocate. Skips transactions or accounts in dispute. Generate and issue electronic fund transfers to supplier bank accounts via your banking software. Automatically dispatch reconciliation statements to your suppliers. The contents and appearance of the supplier screen can be easily altered. Up to 6 tabbed pages (screens) of information can be added to the supplier accounts database. Users can add their own input fields to existing screens for additional comment lines, references and more. Special cost/purchase prices from your supplier(s) can be set-up for specific customers or customer groups to ensure accurate profit reporting. 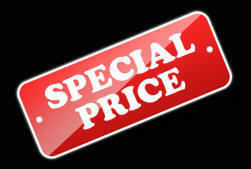 The discount for early payment can be shown on your statement as a total or on individual transactions. During payment entry discount entitlement for early settlement is calculated. Operators can accept the default, ignore, or override the amount manually. Choice of multiple discounting methods: • Unlimited specific/agreed item pricing by supplier, and unlimited Supplier Special Pricing rules may be defined. • Assign discounts by product, supplier code, category, product supplier range, stock group range, location, time frame, department, tax code, unit of measure, quantity break, price group, ‘on special’, and GST free status.